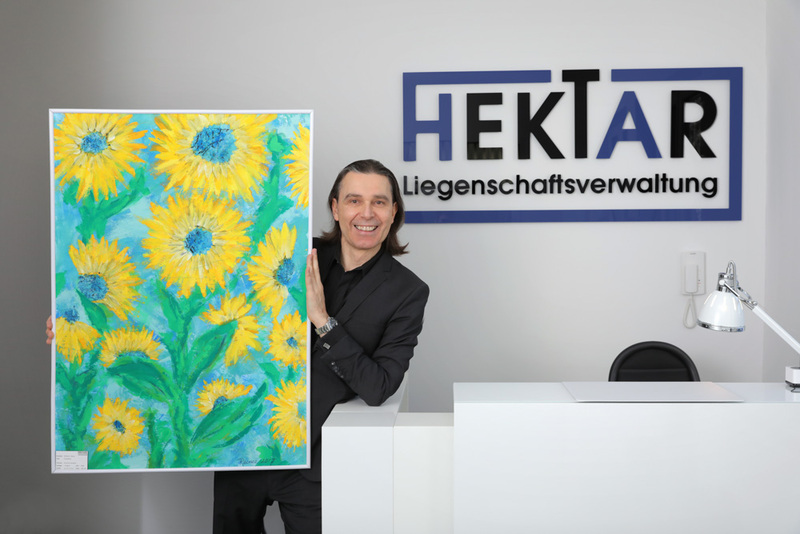 The HEKTAR Office-Art-Gallery offers a meeting place under the motto „capital meets art“ for principals of the company HEKTAR Liegenschaftsverwaltung and artists. The spectrum ranges from wealthy private individuals and family offices, external asset management companies to institutional investors of national or international origin. The artists who may exhibit are famous or unknown. But one thing they have together: They create paintings which are simply nice! Those „treasures“ offers the HEKTAR Office-Art-Gallery in the name of the artist for sale. In the informal atmosphere on our vernissages sometimes a joint venture project accomplished between our principals. And quite beside one bought a nice painting for the own office. It happens 3 to 4 times per year, that such a top-class event occure, where a new artist with his artworks will be represent.